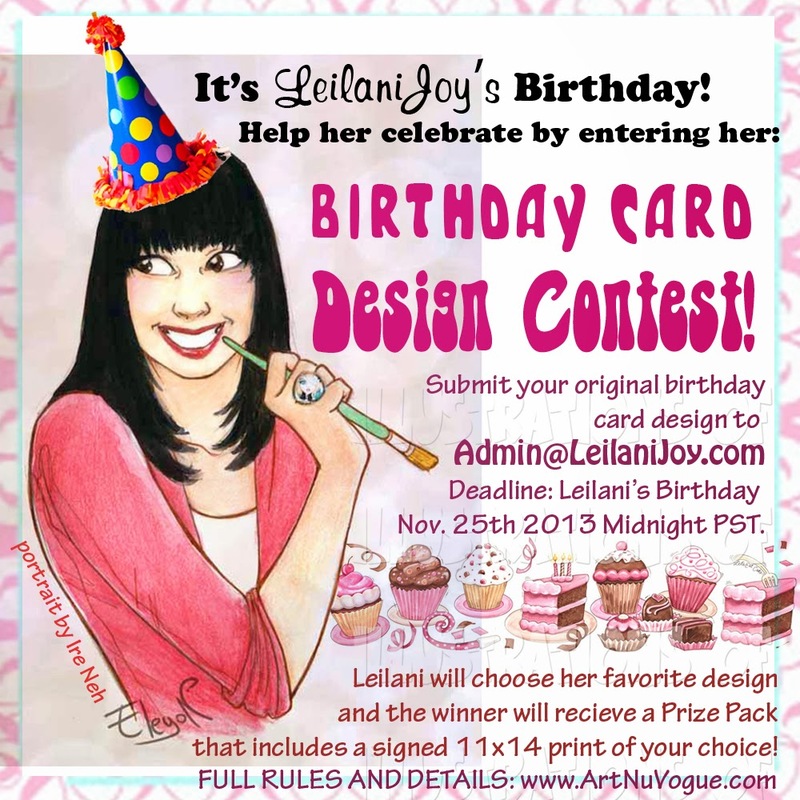 Leilani Joy's Birthday Card Design Contest! 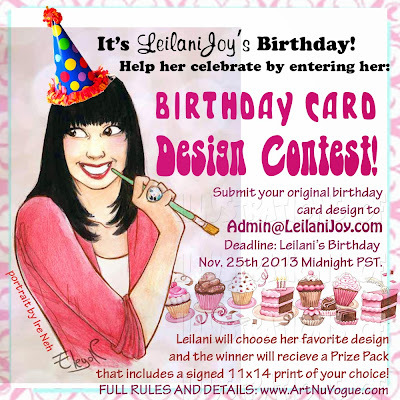 Any subject matter is welcome- but remember that it's a birthday card design! You need to design the front (cover) of the card only. You don't need to design the inside or back of the card. 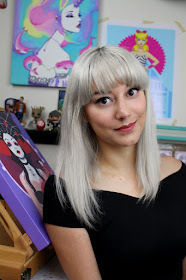 Winner will receive an awesome Leilani Joy Prize pack that includes: A signed 11x14"print of the winner's choice, a postcard set, a holiday card featuring "Magdalen and Magi"- and a pin back button!